Bhubaneswar: Digitalization has entirely transformed the Supply Chain system. With digital technologies like 3D printing and cloud computing supply Chain has become more efficient, agile and customer focused, said Mr Rajesh Kutty, Practice Director- Inspirage. Speaking at “Ashwamedh’18”, the annual Business Conclave organized by X-Ops, the Operations committee of XIMB, he said that digitalization and implementation of Integrated Business Planning (IBP) gives visibility to manufacturers, suppliers, retailers and other stakeholders involved in the supply chain by reducing disruptive costs, time and energy without compromising on the growing needs of the customer. Speaking on the occasion Anindya Sundar Das, Head,Community Operations, UBER, said that we should focus on four major areas, which includes, optimization of needs of the customers, reducing consumption, replacement with better alternatives and eliminating unnecessary wants of the customer, which can altogether help in achieving sustainability. Meanwhile, Viswanathan Raju, Vice President, 3PL And Contract Logistics, Avvashya CCI Logistics, dived into how health and security of workers, energy consumption, inventory, and reconciliation are major areas that we need to work on apart from pollution. He opined that quality operations is the key to successful warehouse management. Mr. Debasish Mohapatra, Head (Project quality and Capability team), Shell said that sustainability is all about meeting energy requirements of the world in a responsible manner, considering energy. He stated that “Sustainability is all about planet, profit and people”. 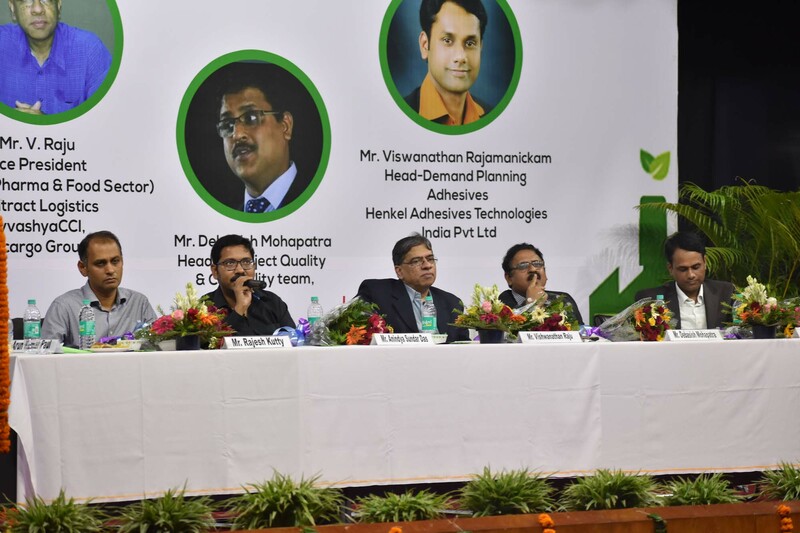 Finally, Mr. Viswanathan Rajamanickam, Head (Demand Planning- Adhesives), Henkel, has opined that Sustainability is not only about employees, it is also about contractors and people we are not directly working with”. He concluded his speech by stating that sustainability cannot be ignored, it is something, which organizations need to incorporate at every level of product creation.